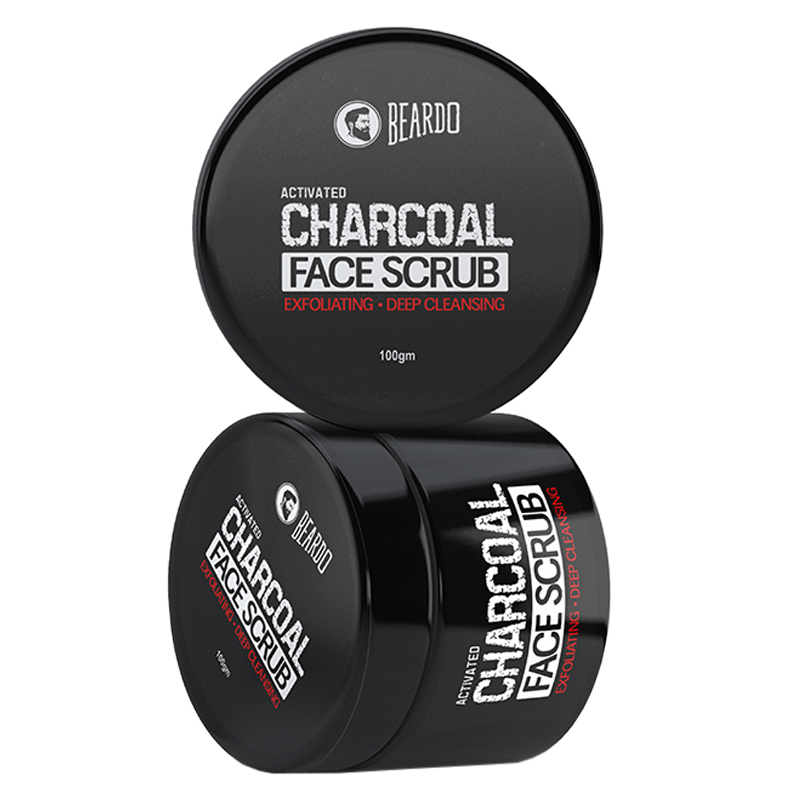 A men's face scrub fortified with activated charcoal. 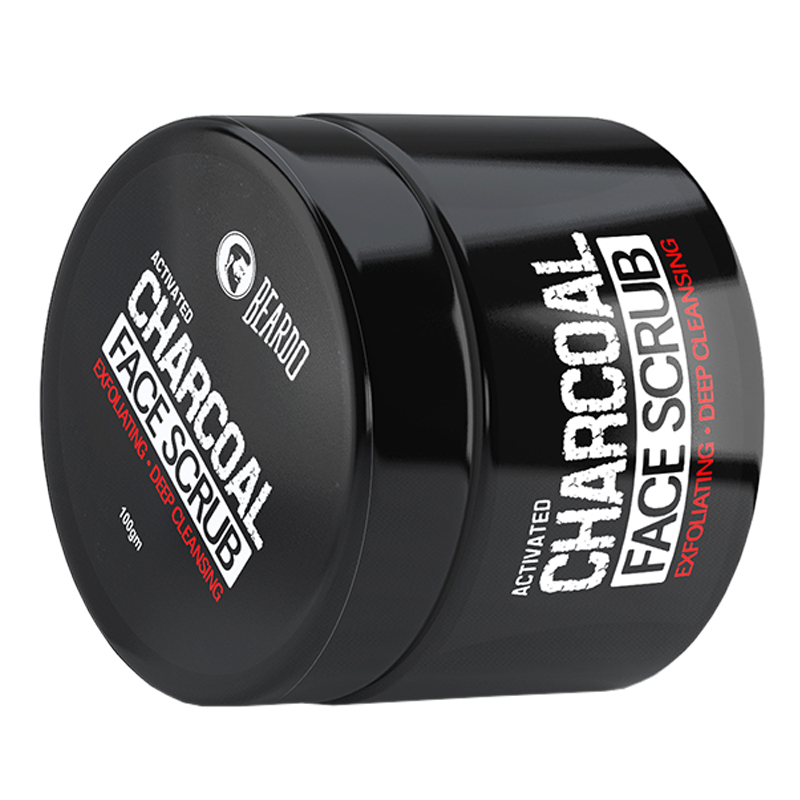 The face scrub contains charcoal that deeply cleanses the skin of dead skin cells, blackheads and excess oil. 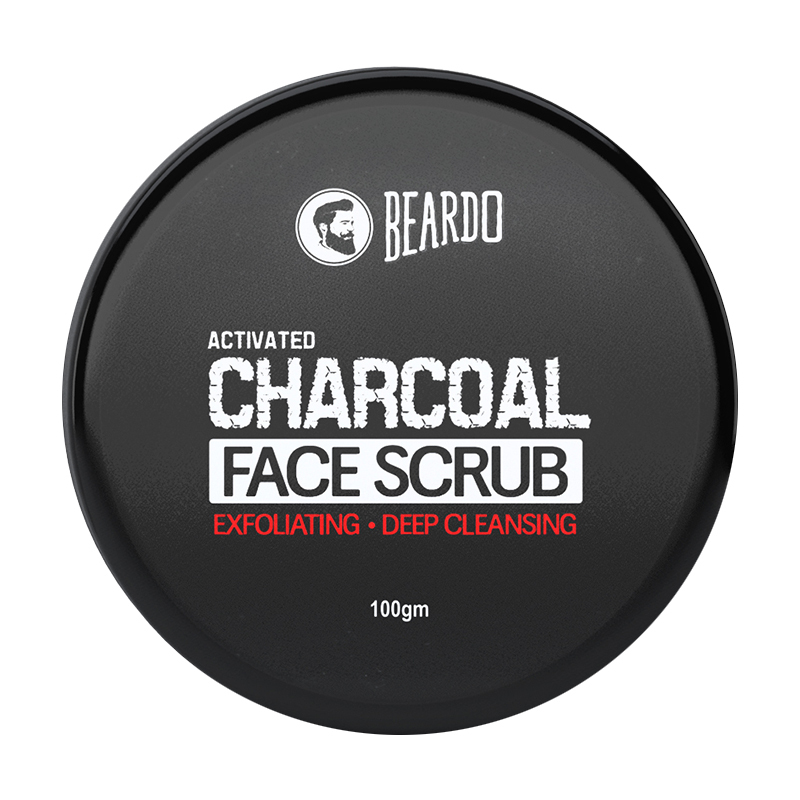 It unclogs pores preventing acne and leaves behind a subtle fragrance. -Rinse your face with water. -Apply a small portion of the scrub on your damp face. -With your fingertips, gently massage your face in upward circular motions for 2-3 minutes.